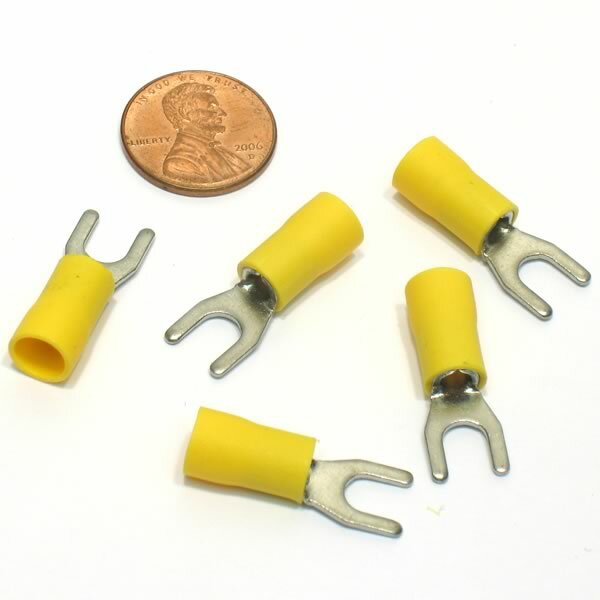 Factory sealed bag of 100 heavy duty crimp type spade terminals for use with 10-12 AWG wires. Has vinyl insulation and spade lug for #10 studs. Retails for $15.